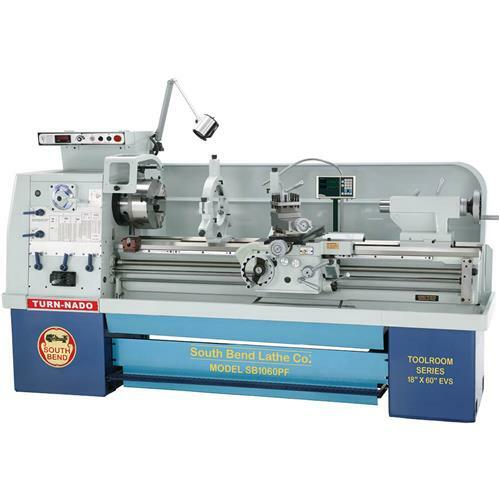 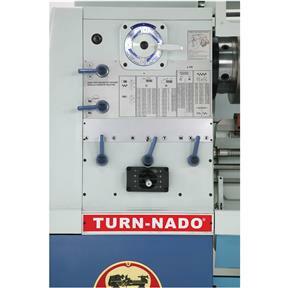 South Bend® quality is built into every one of these fantastic gearhead lathes! 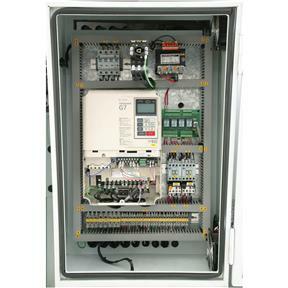 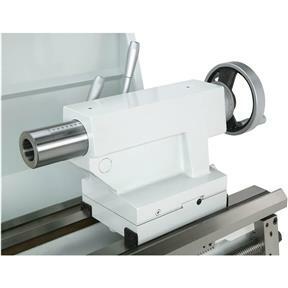 Features include electronic variable speed, universal QC gearbox, extra long saddle for stability, pull out chip pan, and of course, a full compliment of standard equipment that includes 3 & 4-jaw chucks, steady & follow rests, micrometer carriage stop and a lot more. 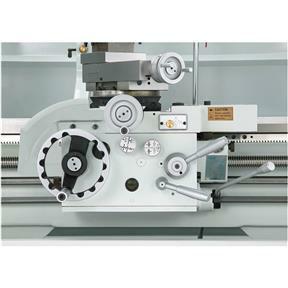 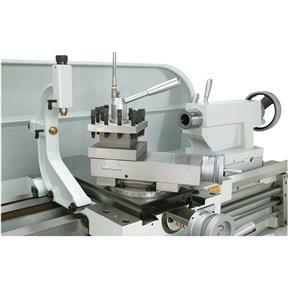 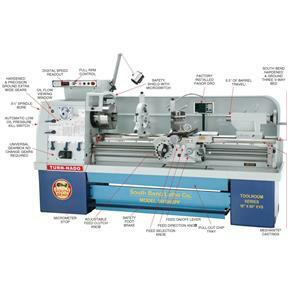 Just check out the specs below and you'll agree, these lathes will be a handsome addition in any busy shop. 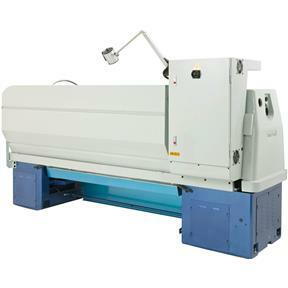 These South Bend EVS lathes are supplied with an adjustable feed rod clutch and stop collar on the feed rod. 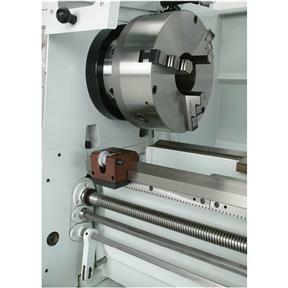 This is a great safety feature when working close to the chuck. 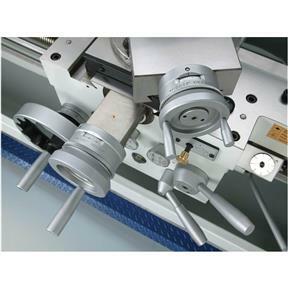 Set the stop collar so the saddle and tool post are positioned at a safe distance from the chuck and tighten the lock screw. 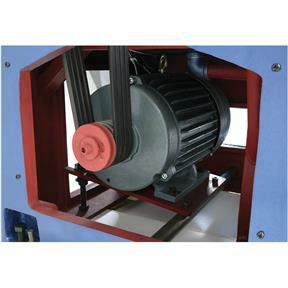 Adjust the feed rod clutch to a low setting. 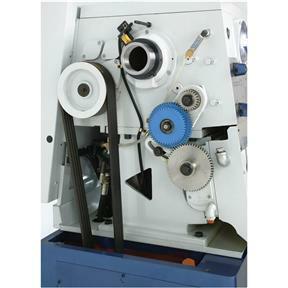 If the carriage comes into contact with the collar, the clutch slips, saving your machine from a serious crash. 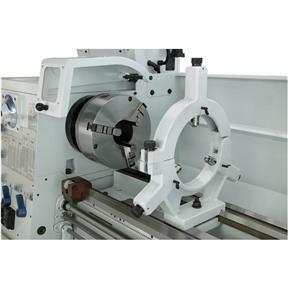 Swing over cross slide: 11.02"
Longitudinal feed range: .0015" to 0.04"
Cross feed range: 0.00075" to 0.02"
Approximate shipping weight: 5408 lbs.